Wine	April 20, 2017 No Comments. If you’re looking for another beneficial reason to sip your favorite wine, you’ve come to the right place. 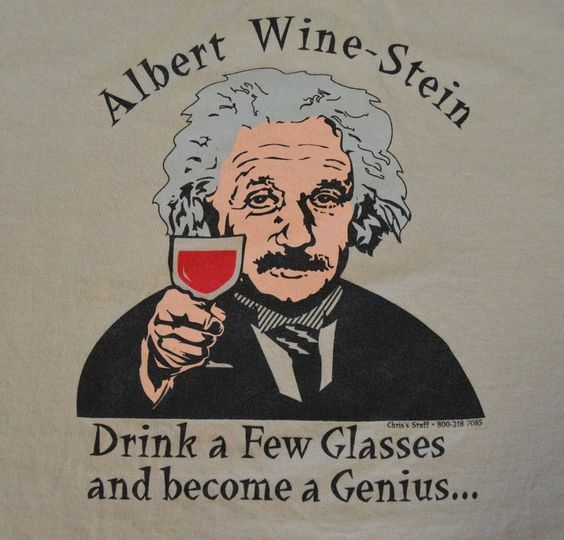 Let’s just say based on this week’s discovery, we wouldn’t be surprised to find out that Einstein had a glass of Merlot in his hand while he developed the theory of relativity. According to Gordon Sherpard, Neurologist and Professor at the Yale School of Medicine (this guy is legit), drinking wine actually engages our entire brain. In fact, Shepard states that the process that occurs is quite similar to what happens when we listen to music or solve a math problem. When wine molecules stimulate our taste buds, they spark several cognitive areas including emotional and sensory reactions- however only small sips will do the trick. So if this is your answer to stepping up your brain game or just the right excuse to pour that second glass, by all means go for it. Just remember to sip slowly. Sparkling Wine = Sparkling Personality?